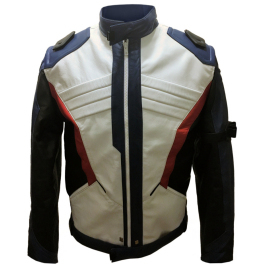 This bold jacket features a multi-colored design with thick panels on the chest, shoulders and arms. 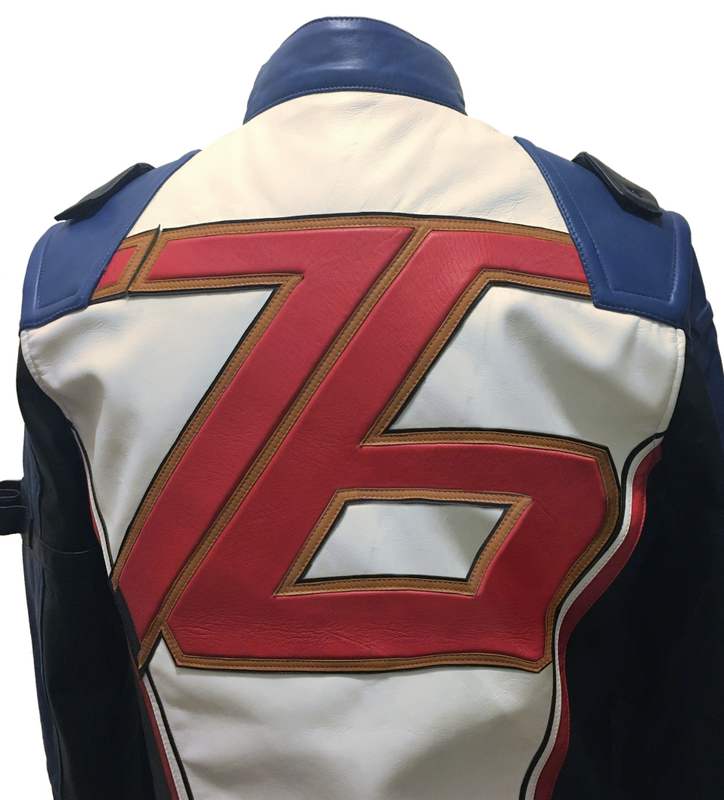 The contoured back has a large "76" design. 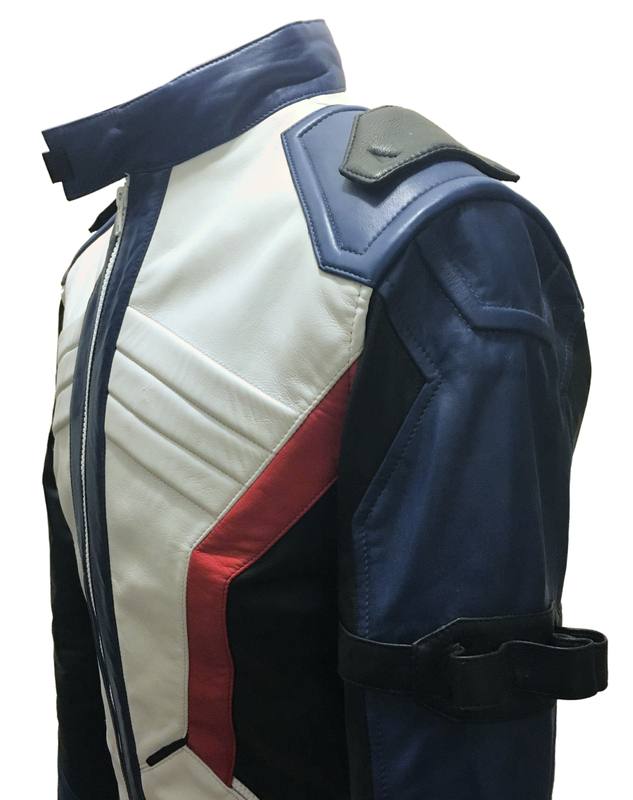 The left sleeve has utility loops and both cuffs finish with snapped tabs. 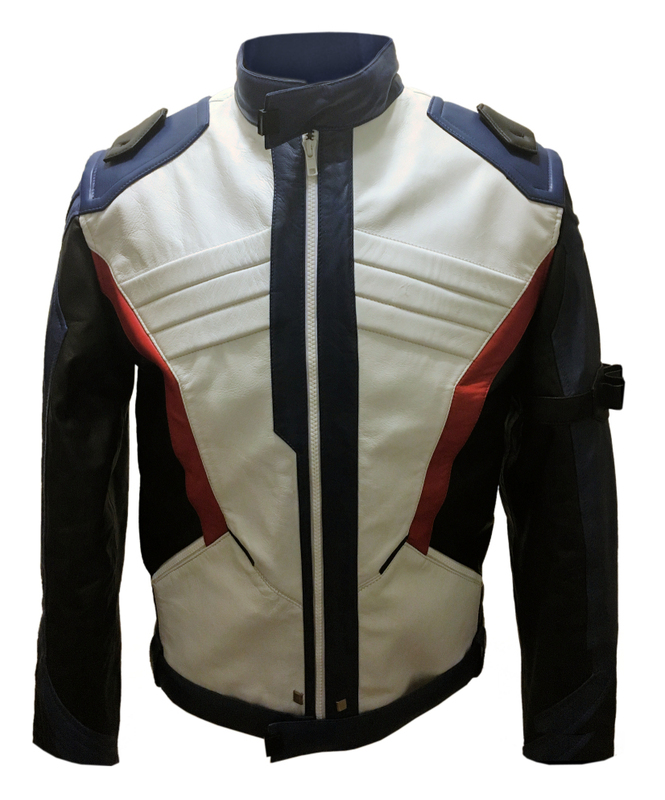 The front has a full zipper closure and snap tabs on the collar and waist. 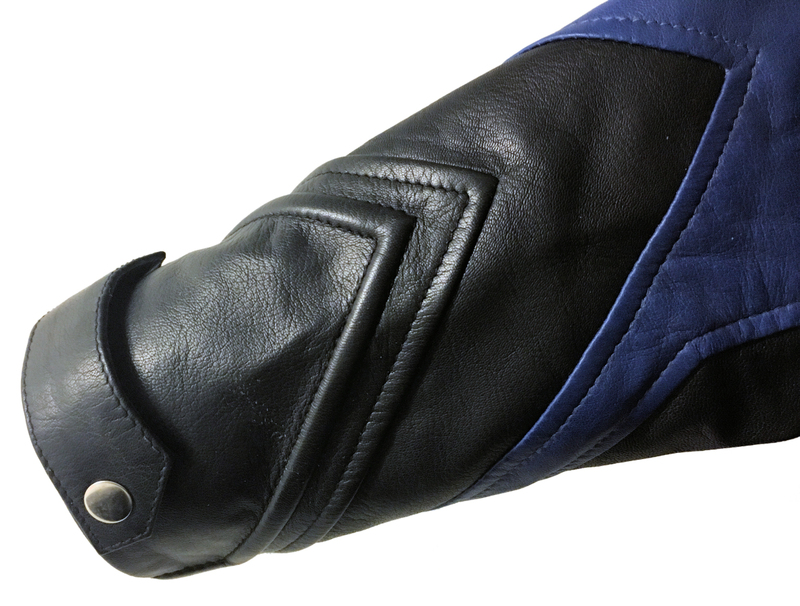 Made in genuine goatskin leather, fully lined with interior pockets.